Do we know what it’s like to ‘look into the wounds of Christ and not feel them’? How do we make the pain real, the burden heavy enough that we can’t lift it alone? A lot of us around the Mudroom are huge fans of D.L. Mayfield’s work and words, and her book that released this week combines both of them. 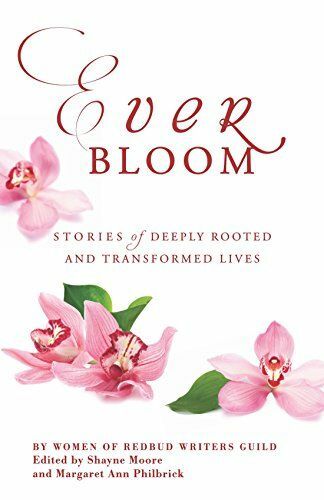 Danielle writes about moving out of that super-evangelical need to convert others, discovering that we are actually all in need of being converted over and over again, and in places and by people we wouldn’t expect. She places this discovery in the context of ‘downward mobility’, as she lives and works with Somali refugees. 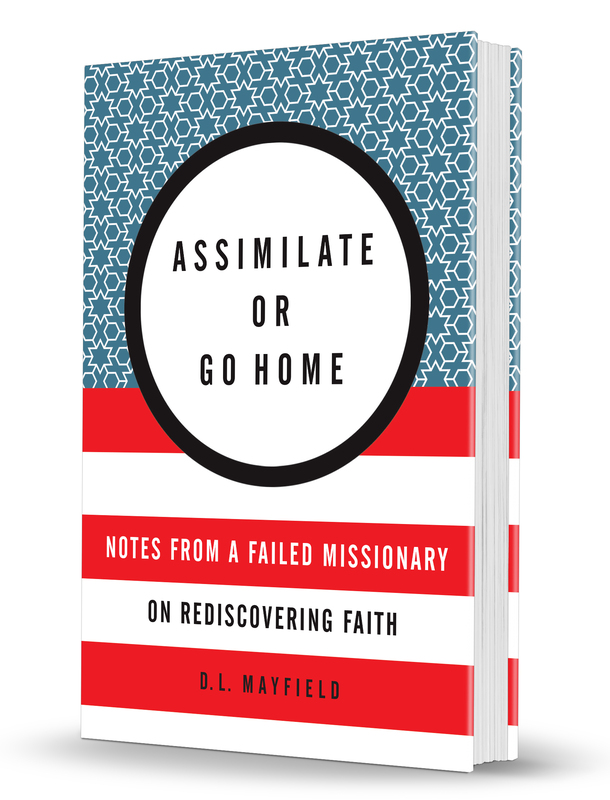 Even the title, Assimilate or Go Home, speaks to the inclinations many people have, as Christians and as Americans. Believe and act like us or we don’t want you. Set as it is in the context of refugees, with the global refugee crisis (and American history) in the unspoken background, it takes on a very pointed meaning. Because as Danielle shows us, these refugees by and large do not appear to be assimilating. And she shows us the pain in that, but also the beauty of it. Respecting and learning from other cultures – learning how to honor them, even – is a much better alternative to assimilation and loss. It’s a lesson both church and country could stand to learn. The story of refugees in America comes hand in hand with poverty and the overwhelming complexity that that issue alone brings up. And as the book goes on, there is a growing awareness of just how insistently American and Christian society refuses to acknowledge and engage with it. It is easy to feel Danielle’s frustration with that, but also her invitation to enter in. What part of the world are you a witness to? What brokenness are you looking at, desperate to find the holy in? 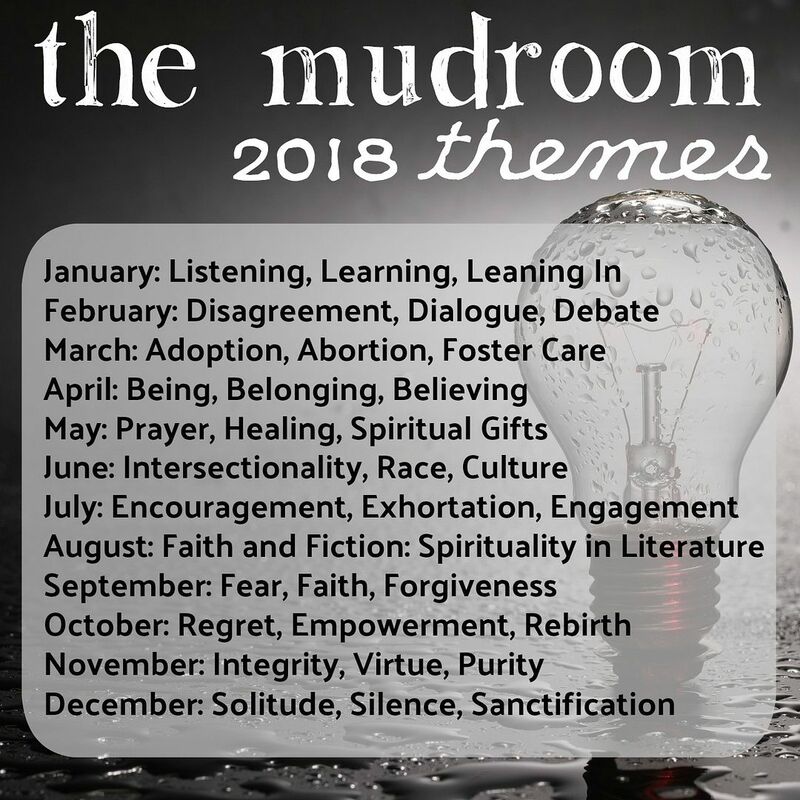 Are we a witness to our power and privilege? Do we see the way it comes at the expense of others? Do we see the ways in which we benefit, or the ways in which we don’t? Are we witness to the ways sexism, racism, and classism play out in our little spheres? There is power in being a witness. There is a validation that comes when we see a person or a situation. We know this, and yet it is so hard to do in any kind of sustainable way. It’s hard. It’s weary. It’s work. Even if it’s in a volunteer capacity and not a lifestyle change like the Mayfields, it’s still emotional work. When you read Assimilate or Go Home, you realize you are only seeing the tip of the issues surrounding poverty, trauma, and education. But we are reminded, over and over, that getting involved is worth doing, because there are people at the end of it. People who need to be loved, validated, and seen, and people who need the unjust systems fixed. The problems facing the most unwanted people in our society are not unsolvable. They just need people to see them and to work for change. And what I find utterly compelling about Danielle repeatedly choosing to remain involved, is that she always manages to find hope. Maybe we all won’t surround our lives with refugees (although probably more of us should), but all of us can live in proximity to pain in some way. We can all find something, someone, who is calling us to be a witness. This entry was posted in Social Justice, Writing and tagged Caris Adel, D.L.Mayfield, Free Write Friday. Bookmark the permalink.